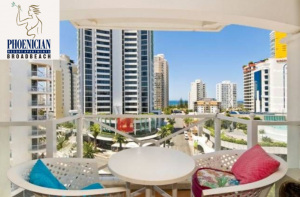 Fast becoming known as the jewel in the Gold Coast’s crown, and boasting a multi-million dollar makeover, ahead of the 2018 Commonwealth Games, you’d be forgiven for thinking that Broadbeach accommodation was beyond your budget. And if you took the prices at face value, you could be right. But that doesn’t take into account the fact that some resorts offer amazing deals all year round. In addition, in many cases, you get a lot more bang for your buck here! For example, some Broadbeach apartments are more like holiday houses, with multiple bedrooms and bathrooms, ample living space, fully equipped kitchens and private laundries. 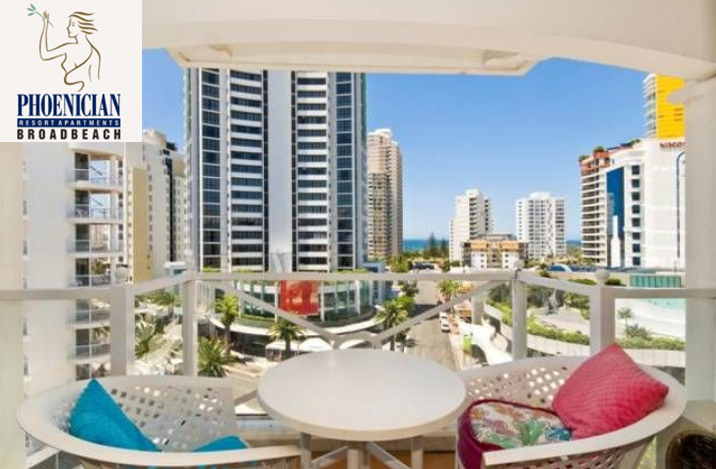 So a two-bedroom apartment at, say, the Phoenician Resort Broadbeach can actually sleep up to six people. That’s great value if you are travelling with family or friends, especially as you have use of the resort’s amazing facilities, which include both indoor and outdoor pools. Add to that the great accommodation deals on offer and you really can get a bargain. For example, if you’re willing to swap an ocean view for a garden vista, you can get a whopping 15% off the price at the Phoenician! Okay, so ocean views are great, but if it means the difference between going on holiday or staying at home, I know what I’d do! Besides, in most cases, the beaches are just a short stroll away, so you can gaze at the ocean all day long! Another way to get a great deal is to stay longer! Some resorts offer amazing specials if you stay for a month or more – sometimes it’s cheaper than staying at home! Then there are the Early Bird deals – if you are able to book your holiday in advance, do so, as you’ll save heaps! Remember, every saving you make puts more spending money in your pocket for dining out, excursions and souvenirs. If you are souvenir shopping, you can’t go past the colourful Sunday markets in Kurrawa Park. Brimful of local arts and crafts, produce, jewellery and more, you’re sure to find something special here. Another great place to discover the unusual is the lush Gold Coast hinterland – particularly around Tamborine Mountain. Here you’ll discover art galleries, antique shops, charming tea-rooms, boutiques, and an abundance of local produce, from wines to cheese. It’s the perfect place to pick up a gift or souvenir, or some delicious treats to enjoy on your balcony later. 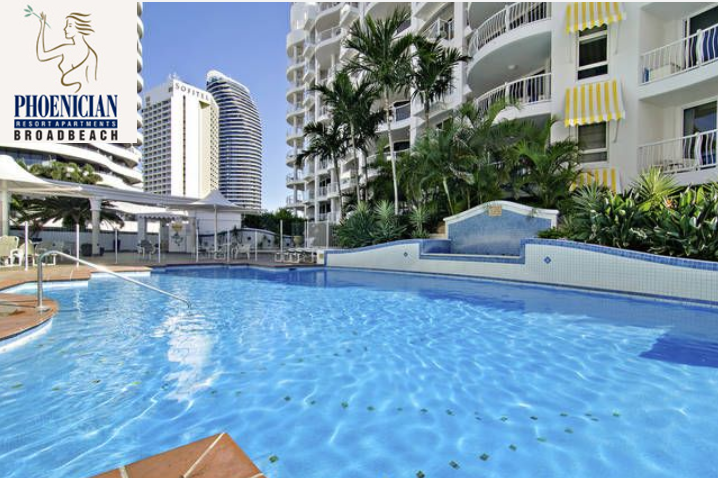 Broadbeach apartments are certainly the perfect base to enjoy everything the area has to offer. And it’s no wonder this wonderful seaside suburb is so popular. There’s something for everyone, with safe swimming beaches, surf beaches, heaps of eateries, great shopping, Jupiters Casino, the Gold Coast Convention Centre and easy access to the hinterland. There’s an endless choice of water-based activities, stretching from romantic river cruises to the massive adrenalin hit of jet boat trips. As well as the ocean and beaches, there’s also a massive network of navigable waterways at Braodbeach, perfect for kayaking and bird watching. Broadie really is a gem of a place!